We see a lot of gadgets come in the door here at Engadget. In fact, getting them in the door is actually the easy part... it's getting them back out that's a bit confusing. Recycling -- something that most of us do on a day-to-day basis with our trash -- is a bit stickier when it comes to gadgets. 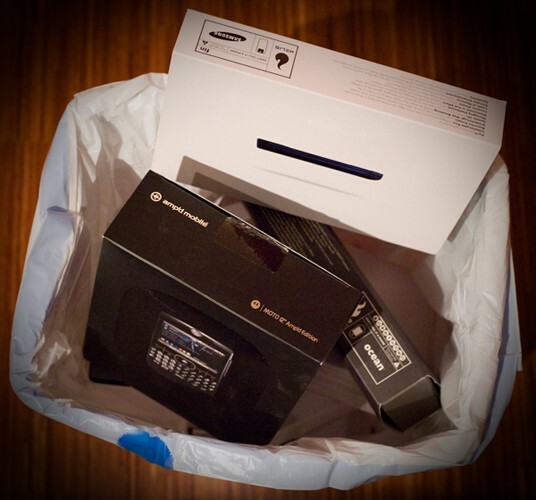 In recent years, however, most major consumer electronics companies have stepped up their games a bit and begun "take back" recycling programs of their own. 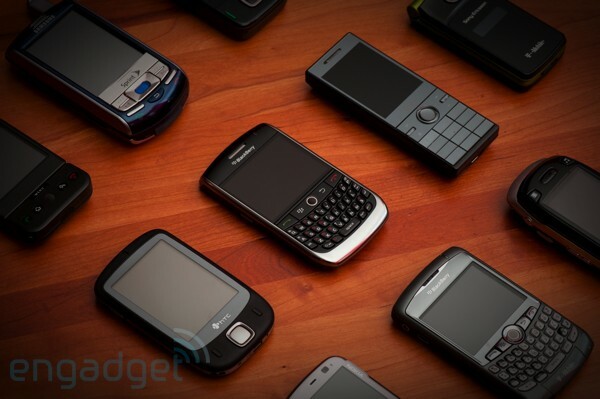 There are a lot of resources out there if you want to rid yourself of old gadgets in a responsible way, but it can be a pretty overwhelming prospect, especially if (like us) you have an actual pile of old cellphones which has been growing since 1998. We thought about that a lot, and decided to try to make sense of all the wild masses of information out there on the internet, and to provide our readers a central location to look for all that information. Read on and see what we've come up with! Like we said, there is a ton of information available, and countless companies that recycle electronics independently. What follows is a guide to individual companies' recycling programs (if they have them), and a list of general and governmental resources that are well-respected and reputed within the industry. Every company handles take back and recycling a bit differently, so be sure to read all of their information before making the decision as to how to handle your old gadgets. For instance, if your mobile phone manufacturer doesn't have a recycling program -- check with your carrier, or one of the independent resources listed. We've done our best to hit all the bases, but feel free to hit us up if we've missed something so that we can add it -- and good luck -- we hope the list helps you reclaim some storage space! Note: most of these resources are US (in some cases, North America) only. Acer - Acer Recycling Program - Acer's recycling program is limited, and varies state by state. Currently, it accepts any product manufacted by Acer in California, Connecticut, Maryland, Maine, Minnesota, Oregon, and Washington. Apple - Apple Recycling Program - Apple's recycling and takeback varies a bit from state-to-state. 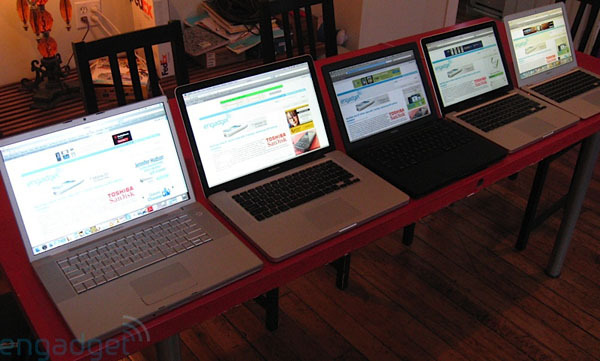 The company currently offers free old equipment takeback (of any make or model) with the purchase of a new Mac, and also offers anytime computer and iPod mail-in recycling with the purchase of a $30 pre-paid shipping label on the site. ASUS - ASUS Green ASUS Takeback and Recycling Program - ASUS has partnered with Metech Recycling for free takeback of ASUS-manufactured products. Consumers can fill out an online form, and will be mailed a shipping label to return their old gear. A fee applies for non-ASUS products. Canon - Canon Recycling Program Canon offers takeback recycling on all of its consumer products. Shipping label is sent via email after registering your product on the website. Dell - Dell Recycling Dell's recycling program will take back any Dell-branded product at any time, and if you choose the free recycling option at the time of buying a new Dell product, the company will take away your old equipment regardless of manufacturer. Dell has also partnered with the National Cristina Foundation (NCF) in order to help disabled and economically disadvantaged people get access to computer equipment. You can donate your equipment to the NCF via Dell's site. Dyson - Dyson Recycling - (UK mainland-only) Dyson will come by and pick up your old vacuum, regardless of make. Epson - Epson Recycling Program A flat $10 fee applies for the return of any item, with a $5 coupon good for purchases made at the Epson store. Fujitsu - Fujitsu Recycling Information Fujitsu complies with the electronic waste laws enacted in California, Maine and Maryland (because it has to), but does not operate a recycling program independently. Gateway - Gateway Trade-in Program Gateway offers direct recycling in California, Maine, Maryland, Michigan, Texas, Virginia, Washington and West Virginia. In all other states, it is partnered with Dealtree, which offers money in exchange for recycling-bound electronics. If your trade-ins are determined to have zero value, they will still be picked up and recycled free of charge. Hitachi - Hitachi Recycling Hitachi complies with state-to-state e-waste laws, but does not operate any other programs. HP - HP Eco Solutions HP's Planet Partners recycling program covers a wide array of HP and non-HP produced products (some with a charge associated), including batteries, cellphones, ink cartridges, pcs, and monitors. 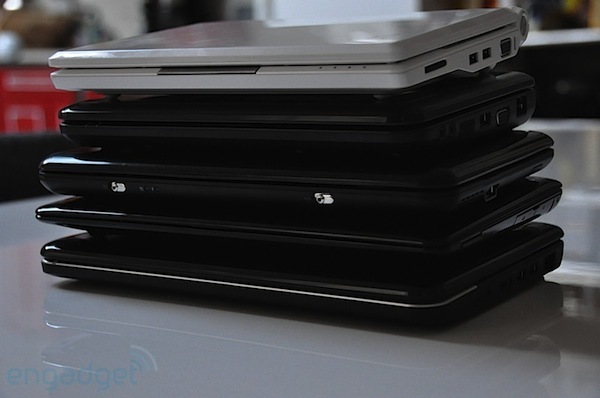 HP provides support and take back on all of its products. Intel - Intel Environment - Information on Intel's environmental impact and policies, as well as data on the company's recycling activities. Lenovo - Eco Take Back Free shipping and recycling of all Lenovo products and select IBM products. LG - LG Electronics Program LG is partnered with WM Recycle America to recycle LG, Zenith and GoldStar brands of televisions, monitors, audio equipment, video cassette players and recorders, DVD players and recorders, combination TV/VCR and TV/DVD units, and set top boxes and accessories associated with those products. Customers can drop off up to five of these items at a time, and smaller items can be returned with an LG recycling mailer. Motorola - Take-back programs Motorola accepts mobile phones and their associated accessories of any brand. Motorola includes mailers with many of its new products, and provides free postage-paid labels on its website. Nintendo - Product Take back and Recycling Program Nintendo of America provides a phone number for customers to call in and make arrangements for mailing back Nintendo products for recycling. Nokia USA - Repair and Recycle Nokia customers can drop off mobile phones at any Nokia Flagship Store, and it provides mail-in information on its website. Nokia also has a Trade-Up program where customers can get cash back for their old phone with the purchase of a new Nokia device. Palm - Palm Take Back & Recycling Palm does not operate its own take back and recycling program, but offers detailed instructions on erasing and preparing your device for recycling. Panasonic - Panasonic Nationwide Recycling Program Panasonic's recycling program covers all Panasonic-branded products, and is operated by MRM. Philips - Philips Global recycling initiatives - Currently, Philips does not have a US-based recycling program. Philips is a charter member of the UN-supported StEP Initiative (see below). Samsung - Samsung Recycling Direct Samsung has partnered with a number of recyclers nationwide and provides free drop off of all Samsung products at a location near the consumer. Non-Samsung products can also be dropped off for a fee. Sharp - Sharp Recycling Program - Sharp has teamed up with MRM Recycling for television takeback. Check the website for battery and ink / toner recycling. Sony - Sony Take Back Recycling Program Sony's teamed up with Waste Management eCycling centers for free drop off and recycling of all Sony products. Sony Ericsson - Sony Ericsson Recycle Sony Ericsson provides detailed information and free shipping labels for return of its products. Toshiba - Toshiba Green Programs Allows for return of any electronics, regardless of brand, for free as a part of its Trade-In Program. Best Buy - Best Buy's Recycling program will take "nearly any" old electronic for free, though there is a $10 charge (with a $10 Best Buy gift certificate compensation) for TVs 32" and under, CRTs, monitors and laptops. Costco - Costco's Trade-In Program offers a trade-in for electronics, with customers receiving Costco gift certificates in exchange. GameStop - GameStop's well known games trade-in program includes end of life recycling by the company. Sam's Club - Sam's Club offers a website for registering and returning electronics for members. WalMart - Operates a free cellphone recycling program. Customers can print a free shipping label on the site. WalMart is also partnered with Gazelle for trade-ins worth WalMart prepaid Visa cards. Radio Shack - Radio Shack has a battery recycling program, as well as a cellphone recycling program in conjunction with Call2Recycle. US Environmental Protection Agency's Plug-In To eCycling Program is an extensive guide to national and local resources, partnered with many major manufacturers and service providers to help ensure our "garbage" goes to the right place. call 2 recycle - a program for mobile phone and rechargeable battery recycling. Wireless... the New Recyclable - Extensive resources, information, and partnerships for mobile phone recycling. Greener Gadgets - A yearly conference held in New York City focusing on environmentally sound gadget design, reclamation, reuse, and recycling. The site also has a great list of electronics recycling resources. Electronics Takeback Coalition - Maintains a site which will help you get rid of some of those old televisions you've got hiding in cupboards. Did you know that the EPA estimates that there are almost 100 million of those in the US? Goodwill Industries, Inc - Goodwill accepts charitable donations of old computers and equipment. When all else fails, give it away! StEP Initiative - UN organizations initiative to evaluate, legislate, and study e-waste problems around the world. Basel Action Network - Information about safe, responsible e-cycling, and recycling companies which have been reported as violating safety and shipping policies. Cell Phones for Soldiers - Donate your old cellphone to a man or woman in uniform! BuyMyTronics - Turn in your old (and even broken) gear for cash. What could be more fun than that? YouRenew - Another buyback service, featuring free shipping and a cash payoff.